Our guests have departed and THIS chickie is working DOUBLE-TIME to get 'er done by this evening!!! WOO, WOOOOOOOOO, what a BIG week this is going to be in SCRAPLAND!!! I am debuting *Love Lifted Me*, which will be available here on my blog during the next week, after which I will be adding a few more goodies to it and then putting it in my store at One Single Seed! THEN ... tomorrow, the JUNE BLOG TRAIN departs it's station at DST and will be making LOTS of stops throughout SCRAPLAND to bring you a MOST incredible collaboration of *My Favorite Guy*!!! 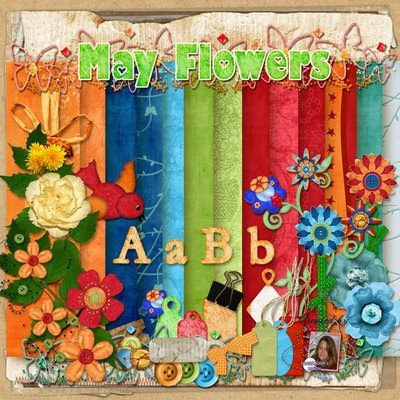 The color palette is DELICIOUS and will be SO perfect for ALL of your "guy" scraps for Father's Day and BEYOND!!! BIG, BIG thanks go out to Tanya and Trish for bringing MANY awesome designers aboard to share their FABULOUS talent! Okay, I'm off to create and I hope that y'all enjoy *Love Lifted Me*!!! Isn't it AMAZING what a little LOVE can do? OH YEAH! It puts you on TOP of the world now, doesn't it? Uh, huh ... y'all know what I'm talking about! Husband and wife, Mother and child, sisters, friends, boyfriend and girlfriend, a NEW crush ... LOVE lifts us up and before you know it, we are floating amidst the clouds!!! 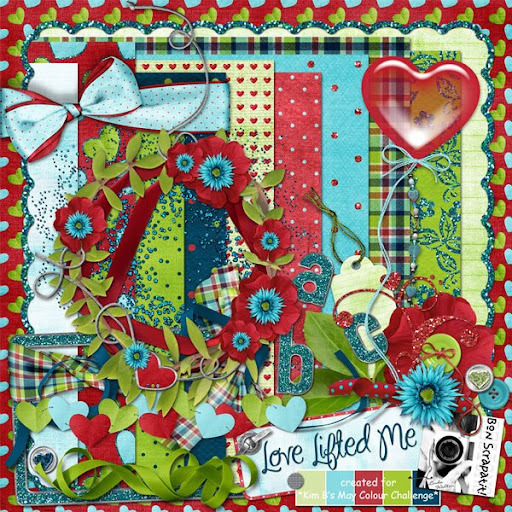 Well y'all, it is WAY past my bedtime and I just HAD to stop in to give you a SNEAK-PEEK of the kit I've just finished for Kim B's May Colour Challenge at DSO!!! After browsing the forum, I saw two submissions that were the same themes I had going around in my head, so with a multitude of distractions and a lack of MOJO, I just HAD to come up with another idea! WOO HOO - I finally got started and we ended up with a pair of MOST welcomed yet unexpected house guests this morning! Of course, I had to play hostess and seeing as how the two are Robert's sisters, you JUST know that I had to spend a GOOD part of the day catching up with them and doing some reminiscing! I'm headed to sleep for a few hours and then I will be back to post the first installment of *Love Lifted Me*!!! I had SOOOO much FUN creating this one and THANK YOU Kim for another ROCKIN' colour palette!!! Would you believe Kim already has the colour palette up for June??? I am snagging it RIGHT NOW as I am typing! ROFL! And who says that I cannot multi-task!!! HERE is the link if you wish to check it out. Come and join in the FUN and see what Kim has for us as a POSTING BONUS!!! It SHORE is PURDY!!! Thank you girlfriend, you are ROCKIN' IT, ROCKIN' IT MAMACITA!!! MWAH! I haven't seen y'all in SEVERAL day so here's hoping that you are having a PLEASANT and RELAXING weekend!!! Have a SUPER Sunday and I'll catch ya on the flip-side! 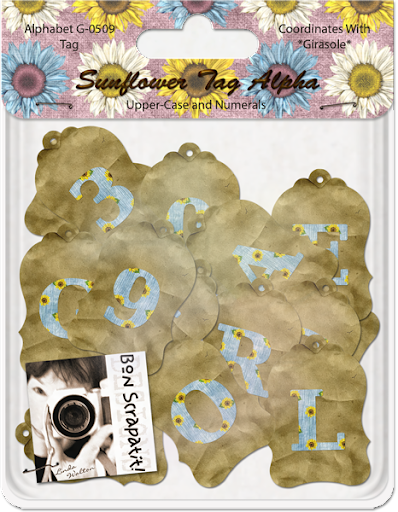 *SUNFLOWER TAG ALPHA* AND OH, MAMMA MIA, HERE WE GO AGAIN! Hope everyone is FULLY relaxed, back into the GROOVE and/or recuperated from the LONG weekend! Here in Copperopolis, California, home of the BEAUTIFUL Lake Tulloch, Memorial Day weekend KICKS OFF the lake activity which continues FULL-SPEED ahead until Labor Day Weekend, which signifies the END of summer on the lake! You will hear the sound of locals cheering - FLATLANDERS, GO HOME! Well, I, being a transplant from the Bay Area TOTALLY understand the "flatlander's" need to "get-away" and ENJOY all that nature has to offer here in this LOVELY "everybody knows everybody" foothill community! I've lived her now for 15 years and the boys and I spent a couple of years living on one of the coves of the lake (Bret Harte), so my morning power-walks were INDESCRIBABLY delicious and I was even known to tote my camera out with me on occasion to capture the STILL water at sunrise - SOOOOO smooth compared to the afternoon/evenings when the tranquil waters gave way to fishermen, swimmers, water-skiers and party boats until dark and beyond!!! LOL! I was actually VERY thankful for those days as the boys simply had to walk out the front door, down the stairs and around a LONG block to cool-off during the heat of the day! We have been living away from the hubbub now for about seven years and I must admit, I THOROUGHLY enjoy the "peace and quiet" of living on acreage and off the beaten track so-to-speak! My vista is just as LOVELY, if not more so as I am not having to look out upon the lake homes now crowding each other and the lake view as well! Here on the other side of town, there are wide-open spaces, SPACE between you and your neighbor and an AMAZING array of wildlife to behold while sitting on the deck in the evening time, just before sunset. One of my FAVORITE things to share with you quickly is a story about my Dr. Dolittle aka Robert! Robert is gifted with the ability to emulate people and animals and I will walk outside to find him conversing with the doves! It is TOO sweet and QUITE amazing to me as he whistles out a call and they reply and go SO far as to perch in a nearby tree trying to figure out WHO or WHAT they are dealing with!!! SOOOOO funny sometimes as I am sure the poor dove is QUITE disappointed to find he is NOT going to be in the company of one of his own!!! There is something to be said for "birds of a feather, flock together" - LOL! I apologize for taking so long to get back, but LIFE has been HAPPENING and it seems that it will, of course, keep right on doing so!!! HA, HA!!! I have just replaced Chicago with the soundtrack to Mamma Mia!!! So many of you declared your LOVE for this UPBEAT and JOYFUL musical starring Pierce Brosnan and Meryl Streep, that I was inspired to find the tracks. My source has recently done some major upgrading and I REALLY like the ease in finding what I want and not having to deal with sifting through "bad" tracks! So, without further ado, I present you with *MAMMA MIA* and the third and final coordinating alpha for *Girasole* which I have named, *Sunflower Tag Alpha*. 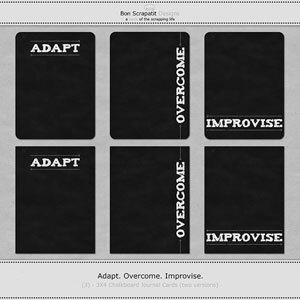 I was up until dawn this morning and TOO tired to fix things when I found out that the files were WAY too big for downloading for some, so I created myself an action in Photoshop that VERY quickly reduced all of my files and automatically saved them for me. PHEW! I am SOOOOO glad that I figured out how to do work on some things in "batches"! I have LOTS to learn, but I do plan on sharing with y'all as soon as I am able to! Thank you for the LOVE and may you ALL have a SUPERB week at home and here in SCRAPLAND!!! Hope this finds everyone HEALTHY and HAPPILY scrapping! I'm just stopping in to leave you with a little something "extra" for your *Garisole* collection while I am working on the FINAL alpha that will also coordinate with *Garisole*, but can be used for MANY other projects as well! Wishing you ALL a FABULOUS weekend ahead! 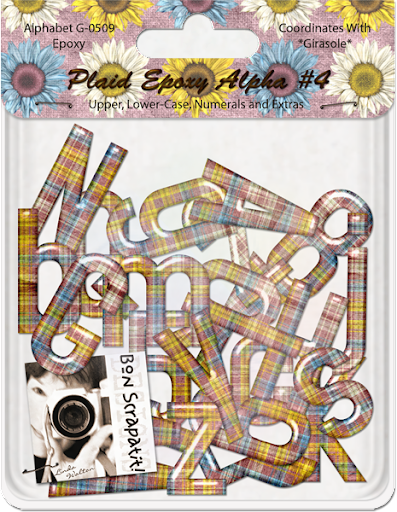 *PLAID EPOXY ALPHA #4* AND SOME OTHER GOODIES TO SHARE! Good morning y'all!!! YUP! It be mornin' time here in Northern Cali! We are just back home from picking John up from work for the fifth day in a row and I am beginning to wonder if I'll ever get my nights back! ROFL! It is now 4:05 AM and I'm choosing to post now for I know not what time I shall arise once my head hits the pillow!!! I've been sleeping until nearly noon, only because I stay up until time for us to leave so that I am sure that Robert is awake! HA! Always a method to the "madness", eh? Uh, huh, you KNOW it! I hope that you ALL had a LOVELY Mother's Day! My day started, oddly enough, with a call from my firstborn and daughter #1, April! OOOOOPS, I must back up a moment. My FIRST Mother's Day greeting came from son #2, Mark, as he was here at the house until nearly 2:00 am! 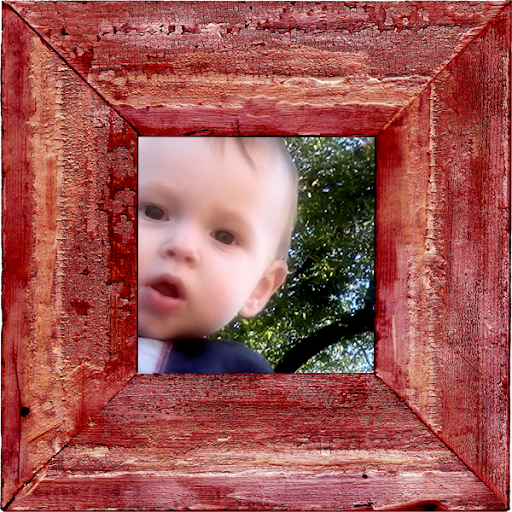 Anyhoo, I heard from all six kiddos and Robert and I spent the afternoon and early evening with my twin boys and a few of their friends at a VERY nice barbecue that was also in celebration of Lilly's second birthday and Tessa's 18th birthday as well as Mother's Day! We had a LOVELY time and I even received a phone call from daughter #2, Joan while at the barbecue! We had a FULL day. SO much so that I completely forgot that son #1, Matt, was going to stop by after work to deliver my potted roses that he gave me a peek at as we stopped in at the store to buy flowers for our hostess for the day! Robert awoke Monday morning to find them on the deck! We had both crashed and burned shortly after arriving home around 7:15 after taking John to work. Matt said he knocked, came inside and found us both passed out! We were just a WEE bit tired, eh? ROFL! Enough of my babbling, I have LOTS to share so I'd better get busy! 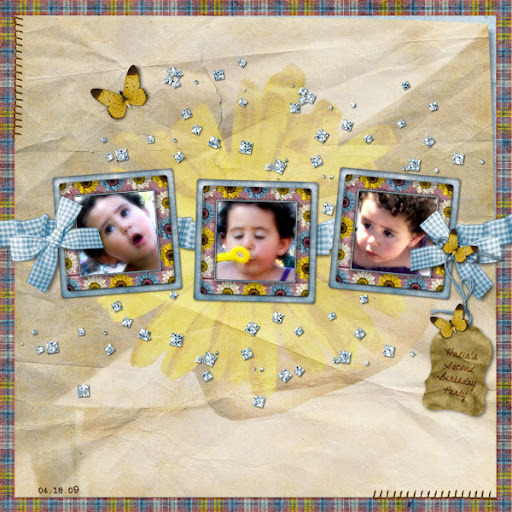 I will be sharing some photos as well as a NEW freebie by Snowsmoon's Design! 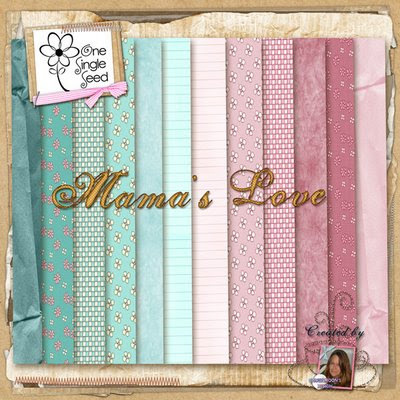 First up is Dawn's NEWEST blog freebie, *Mama's Love*! I am behind, as she has already posted both the papers and the elements, so I am attaching the direct link to each post to each her preview images beneath the layouts. 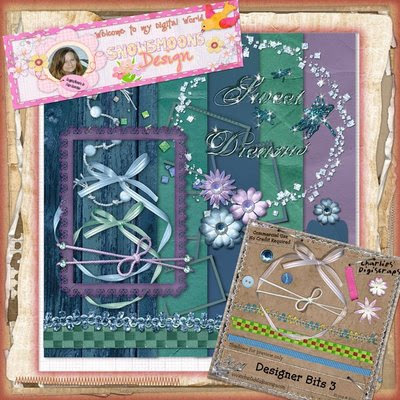 This kit is BEAUTIFUL and the color palette is YUMMY and VERY versatile too! Check out the two layouts, the first by the AMAZING Darlene Harod and the second one by Dawn herself. Aren't they LOVELY??? SO what are you waiting for? Let's go and download these SWEET Mother's Day treats right now! Thank you Dawn, you are ROCKIN' it girlfriend!!! 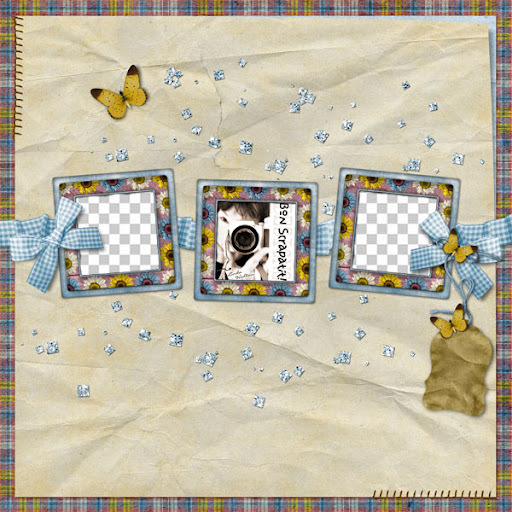 I am going to see if I can find a few moments to scrap as this kit will be PERFECT for Miss Lilly's photos in her Fairy Princess costume! 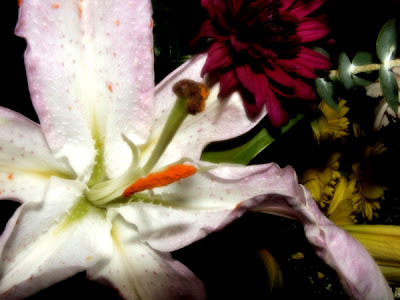 Both floral images above are from the LOVELY mixed bouquet that I received from Luke! His girlfriend, Tessa, helped him make a card for me and I wish I could share what they wrote as I'm sure that you all have seen it in print before. I was half chuckling and half crying while Luke read it to me! It goes through the various stages of a child's life and how we go from thinking our mom knows EVERYTHING, to not much of ANYTHING and then WAY back up to being the one to consult on important issues! What a JEWEL of a gift this was! Thank you Luke and Tessa! 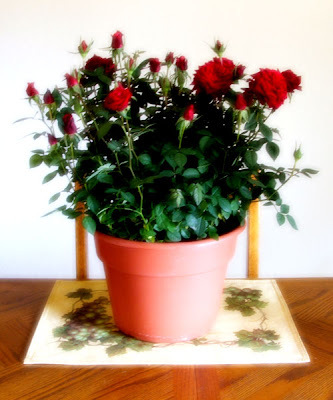 The BEAUTIFUL pot of mini-roses above was a gift from my oldest son, Matthew! These are similar to the two rose plants Robert has out in the yard that he had bought for HIS mother many years ago. Mama passed away ten years ago and when Pop moved from just down the street, he gave those roses to Robert and it is AMAZING to watch them THRIVE! VERY special memories right there! Thank you son, you are SO thoughtful! Bet you've already guessed what THIS is!!! 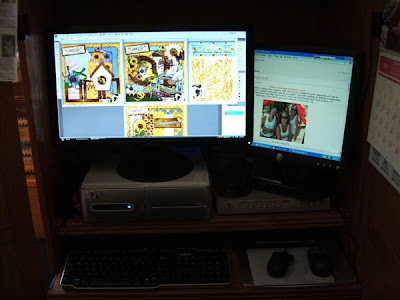 YUP, my NEW 23-inch monitor, my EARLY Mother's Day present from my SWEET, LOVING man! He didn't even flinch when I told him that I had found a steal-of-a-deal, as he's been looking for me for some time and we were waiting for the prices to drop a bit! When I saw this particular model on Dell.com, I had to do a double-take as I could NOT believe it was SO inexpensive! AND, it comes with a 3-year warranty! AWESOME!!! Thank you my SWEET angel! Anyhoo, as you can see, I am now able to place multiple canvases side-by-side in Photoshop and they are all at 100%! This is making for a much easier designing process for me and has been easier on my eyes too! You can see how cramped my working space is now, so over the next few weeks, Robert and I will be preparing the room next to our bedroom as a special place for us to work on our computers and/or to sit and read as our bookcase is already in that room! It is also the coolest room in the house as it is shaded by several trees!!! WOO HOO - I can't wait. We are in for triple digits this weekend, so the sooner the better! The filters are getting changed on the swamp cooler so that we fan fire it up this weekend! Please forgive me as I have drawn a TOTAL blank as to who it was that asked me what a swamp cooler is. A swamp cooler is a unit that you can set atop your roof (as ours is) or there are smaller ones that can set inside a window and it has a drum with a filter attached that rotates like the wheel in a hamster's cage. A small hose, in diameter, runs from the outdoor spigot up to the cooling unit. Our indoor switch has five settings. We always run the pump for about 30 seconds to circulate the water and then switch it to HIGH COOL. If the evenings are relatively cool and there is a breeze, we will switch the setting to HIGH FAN. There are also two low settings, but as hot as it gets here, we usually leave it running on HIGH COOL 24/7. The GREATEST benefit to running a swamp cooler is economics as it is VERY inexpensive to operate in comparison to AC. 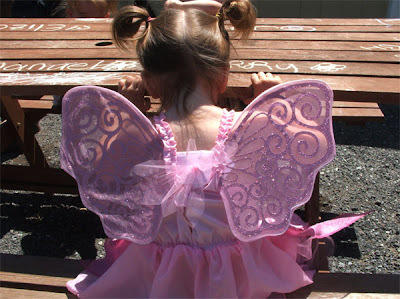 This is Miss Lilly, who was celebrating her second birthday and dressed as a Fairy Princess! Lilly is an only child at the present time and the couple who hosted the barbecue have two sets of twins (no medical help, just lots of twins in the family!) and are expecting a single baby next month! The oldest are boys, 2-1/2 and the youngest are girl/boy and 1-1/2! Both sets are fraternal. They were all SO well-behaved and had a GOOD time with even more friends that came to visit and play with them! 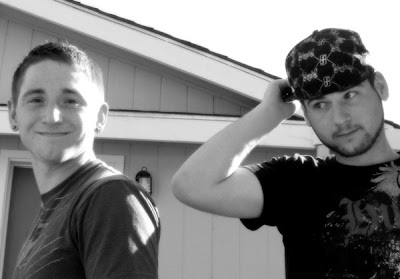 My babies and twins, Luke and John! Not often I get to snap a photo of them together! You can tell who likes the camera and who does NOT! LOL! Tessa was the other birthday celebration of the day! Her birthday is actually tomorrow and she turns 18! 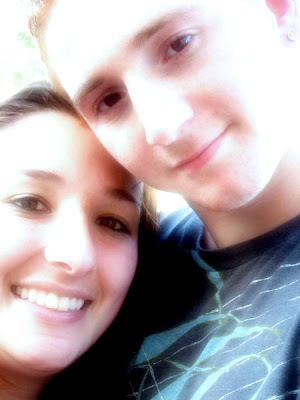 Luke and Tessa have known each other since grade school and have been girlfriend/boyfriend for several years now. She is a VERY sweet young lady and is looking to work with children in some capacity after she graduates from high school and enters college. Robert and I have yet to watch Mamma Mia, which was a SPECIAL treat sent out by my daughter, Joan. She and her hubby LOVE it as do MANY of you who have had the pleasure of seeing it when it first debuted at the theater! Have a WONDERFUL Wednesday everyone and I'll see you soon with my THIRD and FINAL alpha to go along with *Garisole*. I will give you a bit of a hint - you'll be able to hang this one! 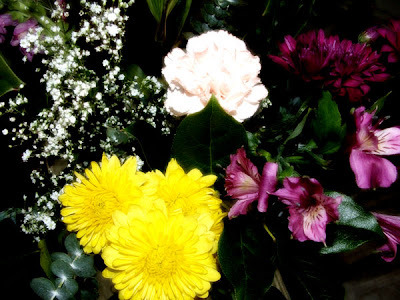 To ALL of you LOVELY and WONDERFUL mothers in SCRAPLAND, "Happy Mother's Day"!!! So, here I sit half awake trying now for the third or fourth time to get this posted before getting caught up in the festivities of the day, which for THIS girl is going to start with some good 'ol SLEEP! LOL! My small gift to you this morning is the first of the alphas I will be giving y'all, which will ALL coordinate with *Girasole*. 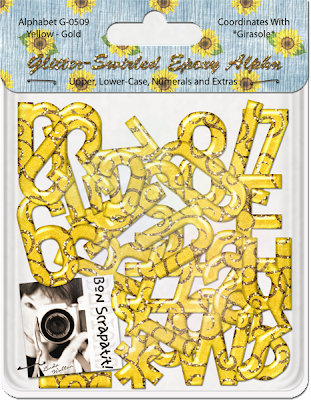 This one is called, *Glitter-Swirled Epoxy Alpha, Yellow-Gold* and, as ALWAYS, the alphas will be versatile enough to use with other scrapbooking components too!!! ENJOY your Mother's Day however and/or wherever you are spending it!!! Thank you to those of you who shared with us how you will be spending your day. I give EXTRA love and hugs to those of you who may find today a little difficult due to a loss and/or illness of a loved one, no matter how long ago or recent it may have been. See you soon with another alpha! P.S. I would like to direct your attention to an INCREDIBLE offer from Al Ward from Action FX through Mother's Day (today!). Al is offering a ONE year membership to his FABULOUS site for ONLY $39.95, which normally sells for $99.95! WOW! What a STEAL, eh? For those of you NOT familiar with Al Ward OR his site, Action FX, Al is NAAP certified in Photoshop, has written several books including his NEWEST release, which is ALL about actions AND the VERY first of it's kind!!! You can check them ALL out on the site HERE. Al has just, over the past two days, uploaded 3,000 silhoutte shapes, which I shall be working on downloading next week. NO, not all 3, 000!!! Well, not at once anyhoo!!! ROFL! 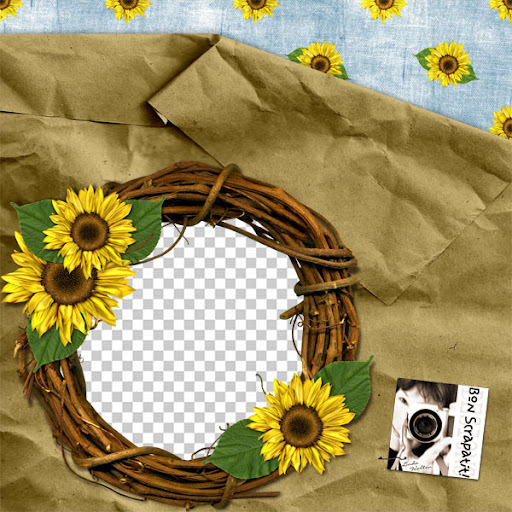 You will also find styles, OVERLAYS and LOTS of photo enhancement and correction actions to name a few thousand!!! SO, what are you waiting for??? Check it out HERE! I am entering into my third year of membership on Al's site and I am looking forward to ALL that is in the works as well as ALL that is already available!!! WOO HOO! If you like what you see and decide on a membership, please let Al know that I referred you, K? Thank you! MWAH! OH BOY! 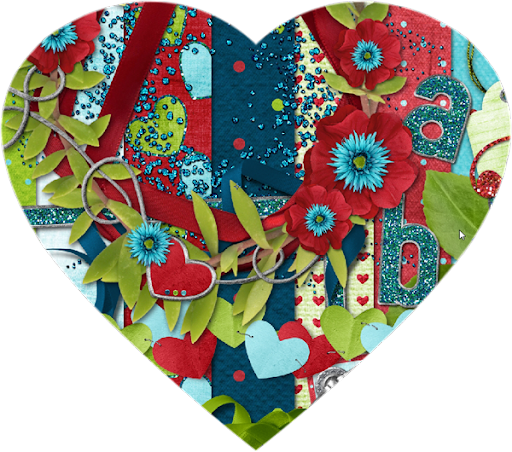 I just hopped on over to Kim B's blog to wish her a Happy Mother's Day and found in her post a FULL reveal of her collab CU grab bag with Bunny Cates!!! I purchased this during NSD and I tell you, it is WELL worth the $10 for 10 sets of BEAUTIFUL goodies to use as tools in your design or to use in your everyday digital scrapbooking! Check out the "reveal" HERE! You need to hurry on this one as it will be GONE at MIDNIGHT! 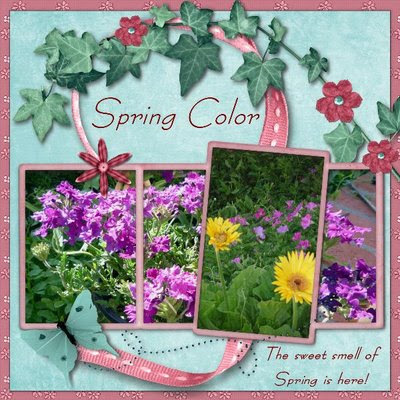 While you are there, take a peek at the GORGEOUS Mother's Day goody she has for ALL of us in SCRAPLAND! VERY sweet and OH, SOOOO pretty! 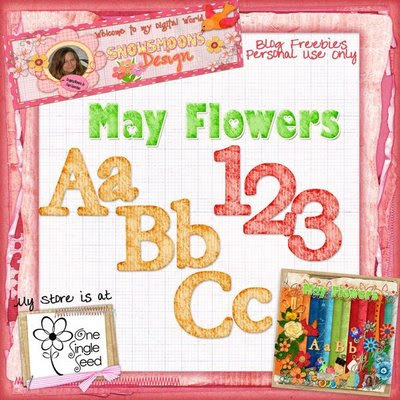 And LAST, but certainly not the least, my BFF, Snowsmoon's Design has a new FREEBIE up as well, which is a LOVELY alpha to coordinate with her *May Flowers* FREEBIE kit posted early in the week! Hop on over and grab it while it's HOT and make sure to leave her some LOVIN' for me!!! Thanks SO much y'all, you are THE BEST!!! 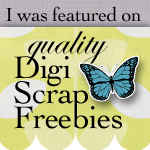 While you are there, Dawn also has a SNEAK-PEEK of her new FREE kit that debuts on Monday!!! Ooooooo-LA-LA, it looks DELICIOUS!!! IS IT TOMORROW YET??? *GIRASOLE*, PART THREE ARRIVING SOON! It seems that our 3 am rendezvous to pick up John from work the past two mornings has DEFINITELY had an effect on me!!! ROFL! What I think is hilarious is that when "I" wish to stay up that late to finish a project, I am usually good-to-go, BUT, when "I" HAVE to stay up that late, I am fighting to keep my eyelids raised!!! 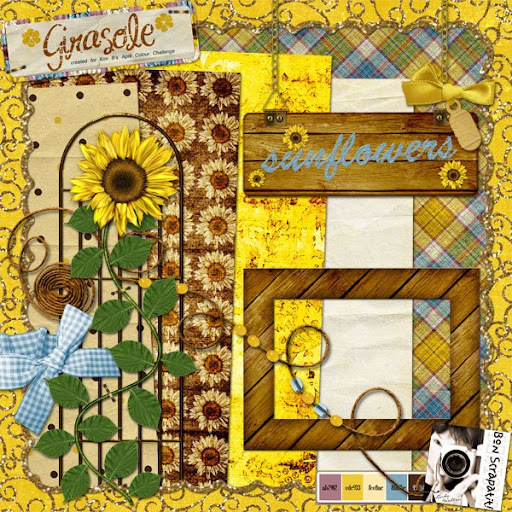 Anyhoo, I shall be back in a few hours to post *Girasole*, Part Three!!! Wishing you ALL a LOVELY day/night! *GIRASOLE*, PART TWO!!! THIS ONE IS REALLY "TWEET"! LOL! 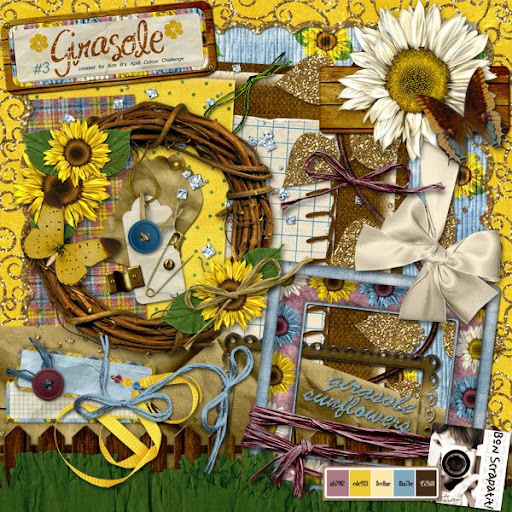 Everyone recuperated from (inter) National Scrapbooking Day??? WOO HOO! I was busy ALL day Saturday and finally started some shopping LATE Saturday night and into the EARLY hours of Sunday! I went out and about here-and-there throughout the day and found some GREAT deals on my FAVORITE expenditure - CU goodies!!! ROFL! What did y'all find??? 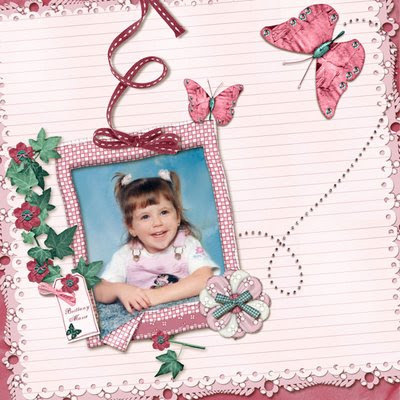 What are your FAVORITE scrapbooking items to shop for? Do you use everything you buy? 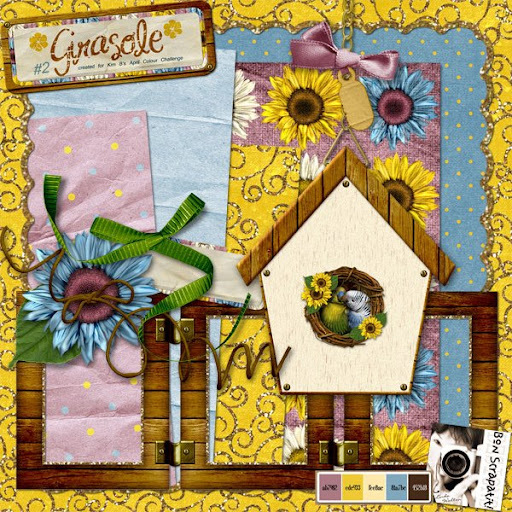 If you've not yet seen Kim and Bunny's NSD Grab Bag, click here to check it out on KIM'S BLOG where you will also see examples of what is in it via Kim's ROCKIN' CT!!! 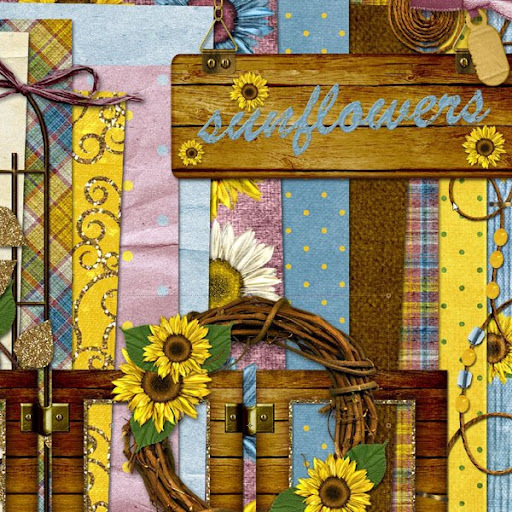 Thank you SOOOOO much for ALL the loving and I am just TICKLED Kim B's Colour Palette that you are LOVING the sunflowers as much I do!!! I would also like to thanks those of you who have shared your SUNFLOWER stories with me as well. How COOL y'all are!!! LOVE, LOVE, LOVE them all!!! JUDY - LOL! WOW! I feel honored that you might just go from "weed" to "flower"!!! AWESOME! CANDY - OMGosh! 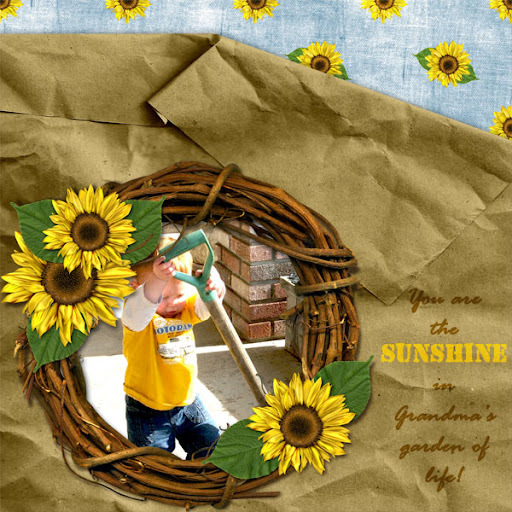 I can SO identify with your SUNFLOWER picture in the garage!!! Robert actually has some items that he could not part with and he took them to his office where they fit in PERFECTLY! 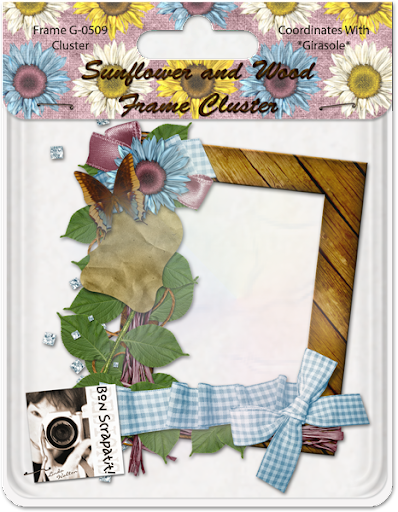 My sunflower goodies are packed away in the garage, however, I tend to decorate by season and some of them fit in with my FALL decor, so during that time of the year, you WILL find some sunflowers scattered about my home! This evening, I leave you with *Girasole*, Part Two! I had a REALLY good time creating the birdhouse and I am thinking that I will give y'all a plain one before I am finished so that you can decorate it to YOUR liking! I shall see you tomorrow with *Girasole*, Part Three and until then, BON SCRAPATIT!! !